Speakers and amps should go together like peanut butter and jelly. When you're matching a good speaker with a good amp, it's all about synergy. Not that it's always simple to achieve - this is a little more complicated than making a sandwich! If putting them together is giving you a headache, we can help. This is our full guide to matching speakers and amps, including breakdowns of impedance, power, sensitivity, and safety. We’ll also give you a practical example, and show you how to get the best match for your speakers or amp. You don't need to be Einstein to get this right, but before buying a thing, you do need a vocabulary lesson. These are the key terms used in speaker and amp specs that are critical to your search for good synergy and great sound. First up, Impedance. Impedance starts with I, just like important. Used in both amp and speaker spec sheets, impedance is a measure of the electrical resistance of your components. It's measured in ohms and is often represented with the symbol "Ω"—as in 8Ω. This is part of the equation in determining the synergy between your speakers and amp. 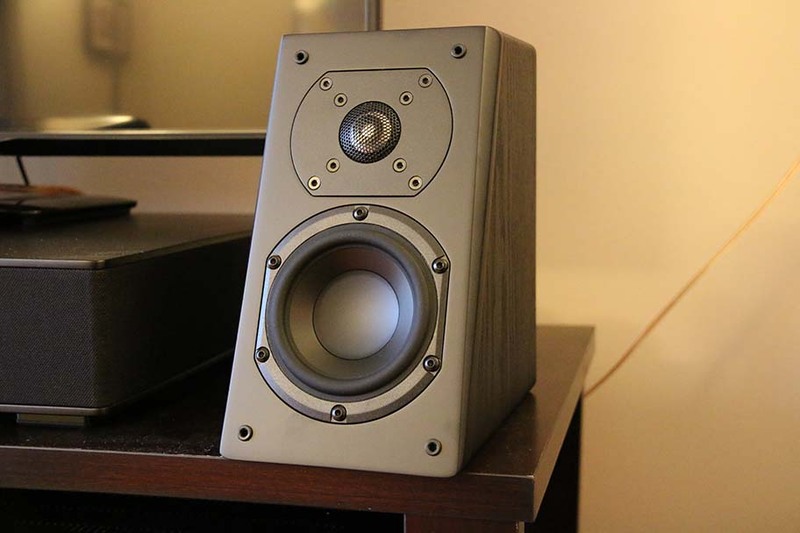 Speakers typically carry ratings between 4 and 8 ohms. Amplifiers generally operate effectively in a specified range: say, 4 to 16 ohms. 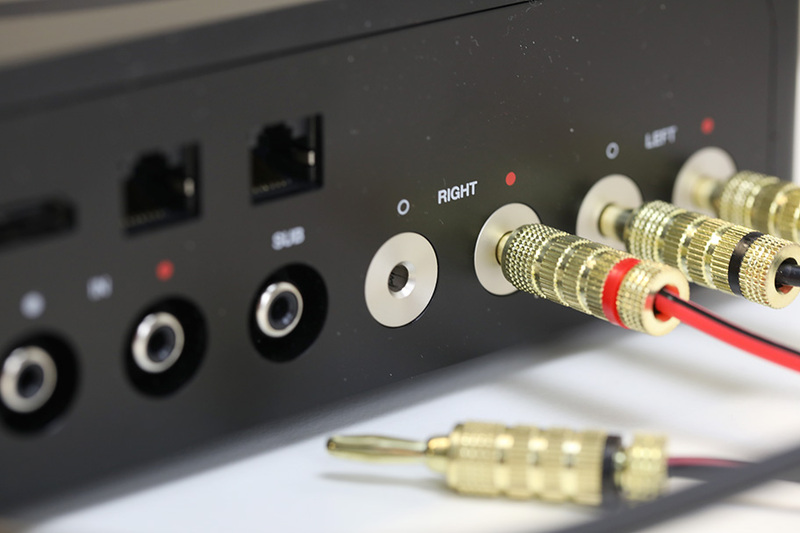 Check your specs, but when that's the case, connecting a speaker rated between 4 and 16 ohms will be OK.
But—and this is where it gets more interesting—you need to be aware that many amps output different wattages into different ohms. (We'll go into wattage in more detail below—for now, all you need to know is that it's a measure of power). 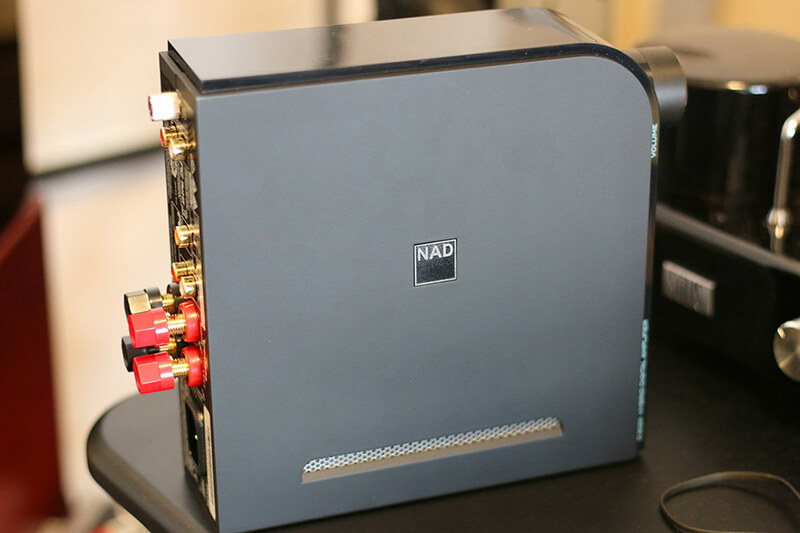 For example, NAD’s ridiculously popular D3045 stereo integrated amplifier outputs a continuous 60 watts per channel into 8 ohms and 4 ohms, but its Dynamic Power (sometimes called Peak Power, which refers to when it's being pushed to its max) hits 80 watts into 8 ohms and 150 watts into 4 ohms. Generally speaking, it's fine to connect higher impedance speakers to an amp; what you don't want to do is plug low impedance speakers, let's say 4 ohms, into an amp that specifies a minimum 8-ohm limit. To take some math work and guessing out of the equation, a lot of speaker and amp manufacturers are switching over to using "compatible with" ohm ratings, which makes things a lot easier. Power can be confusing. One common belief we'd like to shoot down right now is that more watts (which is what you use to measure power) equal more volume. Watts are more about how much power a speaker can handle and how much power an amp is putting out. Amp spec sheets often reference Continuous Power (sometimes known as Continuous Power Output or Continuous RMS Power) and Dynamic Power (sometimes called Peak Power). For simplicity's sake, we're going to talk about Continuous Power and Dynamic Power in this guide. Continuous Power is where the magic's at. This is the spec that tells us how powerful an amplifier is. A typical spec sheet might read something like "50 watts Continuous Power into 8 ohms," meaning the amp will output 50 watts into an 8-ohm speaker. Dynamic Power is essentially a measure of an amp's maximum power output when pushed beyond its Continuous Power rating—we're talking peaks of power for milliseconds during a dynamic song or soundtrack here. As for speakers, every manufacturer seems to rate power a little bit differently. Many high-end speaker manufacturers are swaying away from offering Continuous Power and Peak Power ratings, favoring "recommended amplification" ratings instead. Take KEF, who simply lists "Amplifier requirements: 25-100W" for the amazing LS50 speakers. Then there's Ascend Acoustics, which still provides Minimum Recommended Power, Maximum Continuous Power, and Maximum Short Term Peak Power ratings for its speakers. Don't ask us, we just work here. A speaker-specific stat, sensitivity is essentially a measure of how loud a speaker will be in decibels from one meter away when driven by one watt of power (yes, just one watt). Here's an example. 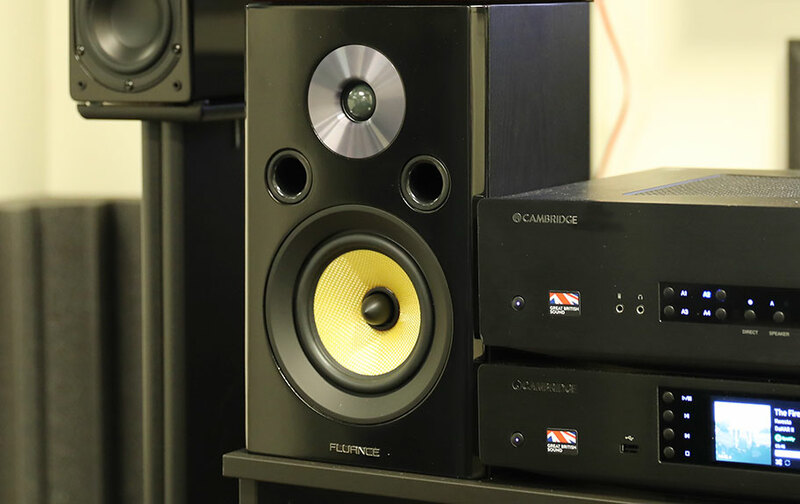 We've already mentioned the KEF LS50, so let's take a second set of speakers - the Audioengine HDP6 (full review here), which we just happen to have lying around our testing room. With one watt of power, the HDP6s will produce a sound pressure level (SPL) of 88dB at a one meter distance—just about perfect for not going deaf during long listening sessions. dB, by the way, stands for decibels - a standard measure of loudness. The human voice is about 60dB during normal conversation. Why does sensitivity matter? It directly relates to how loud a speaker gets. When distance and power are the same, a lower sensitivity speaker (say, 85dB) would sound quieter than a higher sensitivity speaker (say, 88dB) in the same room and setup. Sensitivity doesn't make or break a good speaker, but a higher-sensitivity speaker could save you from having to buy a larger amplifier to reach your favorite listening levels (but we'll get to that later). Here's another fun fact about sensitivity: Amplifier power must double to increase a speaker's SPL by 3dB. So, our HDP6s would need one watt to produce 88dB of sound, two watts to produce 91dB, four watts to produce 94dB, and so on. Conversely, sound falls off fast. Expect a 6dB falloff every time you double your distance from your speakers. And this is why we can't just pick an amp and speakers with a couple of matching specs and hope for the best. Take the KEF LS50 speakers and NAD D3045 amp. We can easily surmise that the NAD D3045 will drive the KEF LS50 just fine in a small listening room. Why? Because the NAD D3045 outputs 60 watts of Continuous Power into 8 ohms, and tops out at 80 watts of Dynamic Power. This amount of power is safely within the 25 to 100-watt recommended amplification range of the 8-ohm LS50. And since the LS50 carries a sensitivity rating of 85dB, we know it will play plenty loud in a small room. So: our amp and speakers match impedance at 8 ohms; the amp's Continuous Power and Dynamic Power are both safely within the speaker's power handling range; and the speaker's sensitivity will allow it to reach good volume levels in a small room. Sounds like we have some synergy here. Do you want to know what the most common email we get it? It’s an email that goes “I have X speakers – what’s the best/most perfect amp match for them?” There are some days when we literally get five to ten of these. We’ll tell you like we tell them: there is no one answer. Because here’s the thing about matching speakers and amps. There are thousands and thousands of different products out there. We cannot possibly test them all, so even if we were to name what we thought was a perfect match, there might be one that we haven’t discovered yet. The guiding principle here is very simple: don’t worry too much about it. No, seriously: it’s not worth your time. As long as you buy a good pair of speakers, and a good amplifier, and make sure that their wattage and impedance ranges are matched as in the example above, you’re going to get good sound. Modern equipment is very forgiving and most of it is very well built. It’s more about finding a sound that you like, rather than finding equipment that matches perfectly. Finding that sound is kind of up to you! OK – there are some ways in which you can streamline this process. Buying an amplifier and speakers from the same company is usually a good start, as the hard work of making them play nice together has been done for you. For example, you could buy an Onkyo A-9110 amp (full review here), and match it with a pair of Onkyo D-77NE speakers. But do you want to know what will make a much bigger difference? Your listening environment. Too often people don't account for the impact their room will have on their setup, and we don't want you to do that. So, let's put these factors into practice. A large room could require larger speakers or more powerful amps than you anticipated getting. Where the speakers will be located, as well as where you'll be seated, are big considerations. Keep in mind that you'll sacrifice sound quality if your speakers and listening position aren't planned correctly. 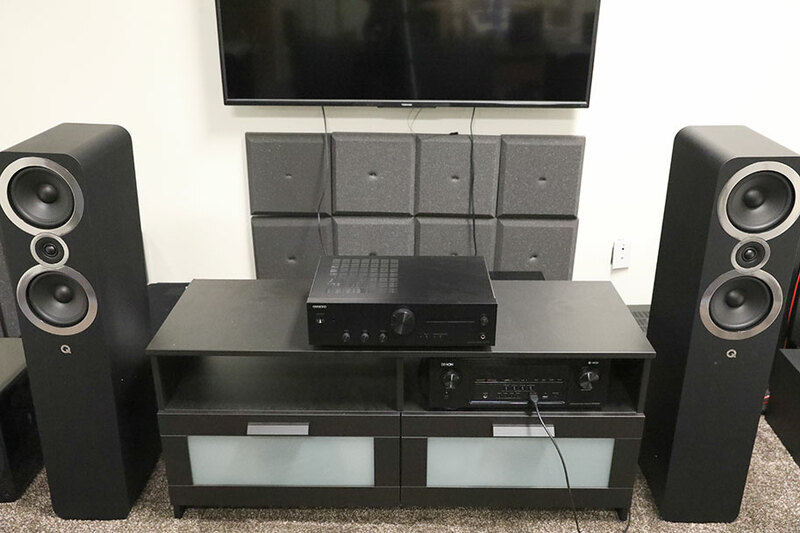 We generally recommend spacing speakers one-and-a-half times as far away from you as from each other, angled slightly inward, at the same height, and with the tweeters as even with your ears as possible. And always avoid obstructing your speakers with furniture and placing them in corners or too close to walls (unless the speaker manufacturer advises otherwise). You should figure out how far you plan to sit from your speakers. Second, get an idea for how loud you want them to sound. These two figures are essential in determining the speaker sensitivity and amp power ranges you need to work within. If you happen to already have a speaker in mind, Crown Audio has a really handy calculator that you can plug distance, desired SPL, and speaker sensitivity figures into to calculate just how much Continuous Power you need out of an amp. Then all you need to check on is if that power rating is within your speaker's safe operating range. Obviously, speaker sensitivity plays a bigger role than a lot of people think it might, and you can use this calculator to see how big of an impact it makes. Point being, if you need 200 watts of power to get your 85dB speakers singing at the volume you want from your listening chair that's three meters away from your speakers, but your speakers are only rated to handle 100 watts of Continuous Power, well, you're outta luck and you've got no synergy. Start looking for a different speaker—or sit a whole lot closer to it. Here's our disclaimer: If you blow up your speakers, or your amp, it's your fault. Got it? Good. Ask a dozen audio experts about how much amplification a speaker needs given its power handling rating and you'll get a dozen different opinions. We've seen recommendations for ten percent more Continuous Power over a speaker's comparable power handling capabilities. 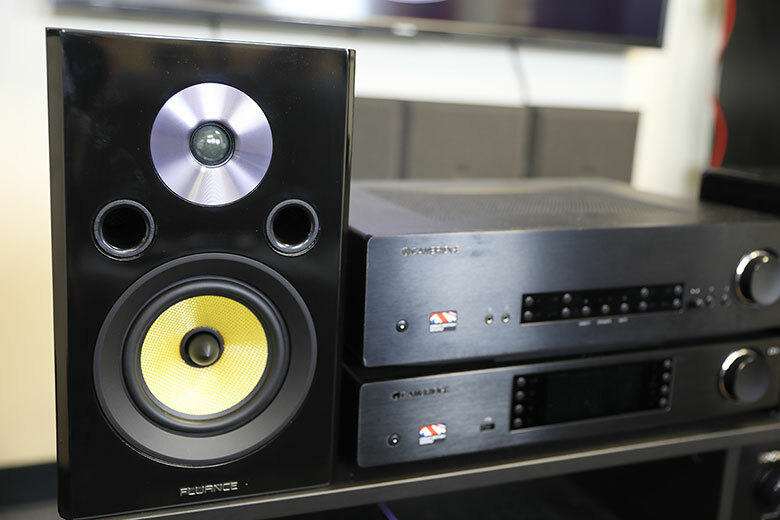 We've also seen recommendations for doubling a speaker's Continuous Power rating. These recommendations likely spawn out of the belief that too little power is what damages speakers rather than too much. It actually goes both ways. There are two very common and unfortunate causes of blown speakers and amps that we want you to avoid at all costs. First is connecting speakers to an amp with a Continuous Power rating that's way too much for your speakers to handle. 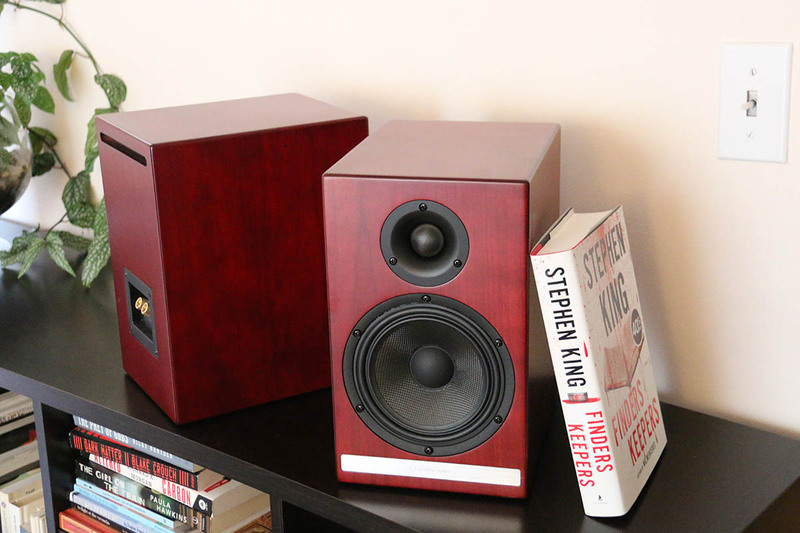 What often happens here is that the speaker can't efficiently dissipate the heat energy from the amp, which then burns up the speaker's voice coil and suspension, meaning you may as well have lit your hard-earned money on fire instead. Second is running an amp that is far too weak for the speakers connected to it. It's not that the lower power is bad, but it gets bad when you keep cranking up the volume knob in search of a suitable listening level that likely doesn't exist; instead your amp will start burning itself up because you're demanding more power than it can create. This causes the amp to overheat and start clipping the signal being sent to the speakers, creating excessive distortion and high frequency energy that can, and likely will, waste your speakers away. Then you'll have a burnt-up amp and speakers. So, let's not do that. Our recommendation for the ultimate safeguard against smoking your system is to carefully look at the maximum power handling capabilities of your speakers and amp, and, based on the listening room specs we talked about, choose an amp that outputs the correct Continuous Power for the volume level you seek, and a speaker that can gobble up twice that amount of power. So, if you need 100 watts out of your amp at 8 ohms, pump it into an 8-ohm speaker that can handle 200 watts of Continuous Power. This should give you plenty of headroom for when the impedance drops, causing those Dynamic Power peaks, and a little more room to spread those gooey peanut butter vibes.